This entry was posted in Racing on October 30, 2010 by Steve Tilford. The mountain weather is fickle. Probably not really fickle, but I’m not used to it. It is so cold in the mornings and evenings. Yesterday around noon, it was so warm we took our shirts off. I was wearing thermal under clothing a couple hours earlier. 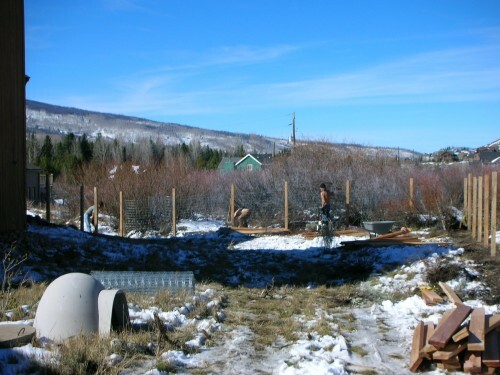 We got a ton done, but still have a lot of fence to put up. After tomorrow we’ll have most of the fence sort of done. Minus a few gates, etc. I’m not nearly as sore as I was the day before. We’re going to run out of cedar posts and rails. We ordered more, but have to drive to Denver to pick them up. I went for a walk late last night with Bill, Vincent and the dogs. Bromont has a blinky light and was a mile up the mountain in a blink. There are so many stars up here. The Milky Way is so bright. Pretty cool. I’m flying out to California on Tuesday. 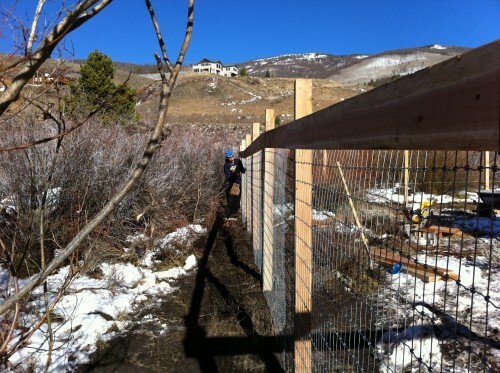 So, the fence project needs to accelerate some over the weekend. It was originally supposed to be raining all day tomorrow, but now it looks okay. 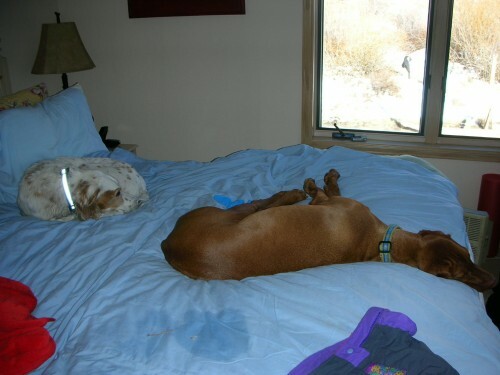 I was hoping to get down to Boulder sometime this weekend for the cross races. I have no desire to race cyclocross at altitude, but I wouldn’t mind watching. I am virtually positive that I wouldn’t be thinking that I would want to be racing while watching. I know how bad I feel just ridin’ around. Lots of concrete to mix and move. It was pretty warm in the afternoon. 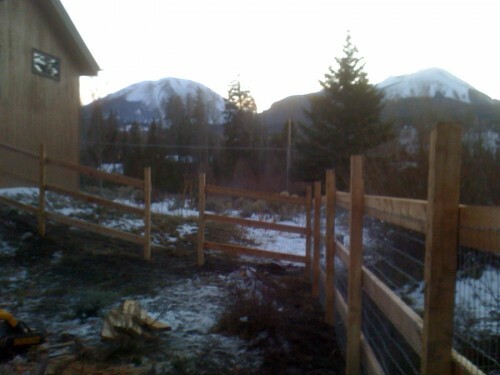 Big cedar rails with Horse Fencing. Nice mountain look. I drink a lot of tea. 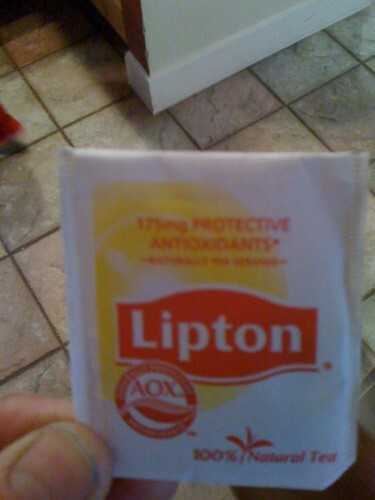 I didn't realize that Lipton Tea bragged so much of its antioxidant properties. I doubt that is the reason most people buy it. 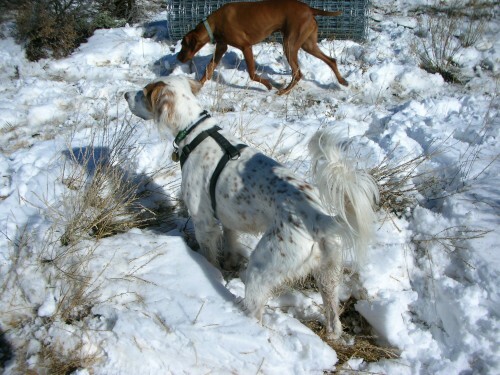 The dogs love the snow and mountains. It's nearly a dog resort. I enjoy your blog. I saw your brother today at the CX race in KC. He told me he’s healing slowly. Thankfully he was able to walk away from the crash. Hopefully we will see you at the Lawrence CX races next weekend. Cool fence, though I think normally with horse fencing the boards are nailed from the inside out so that they can’t be kicked off so easily. 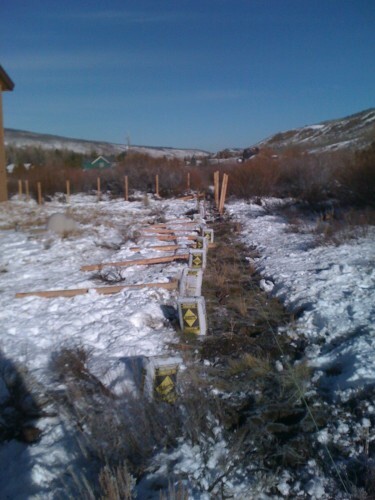 Hey Steve, you might want to put some of this up (http://www.farmtek.com/farm/supplies/prod1;ft1_equine_supplies-ft1_horse_corrals_fencing-ft1_electric_fencing_1;pg108045.html) or something like it, or the horses will have your fence down in no time flat.